Our team wants to provide you with the best services! Our employees are located in Eastern Europe making it easier to assist and understand the Russian women who register with us. Our employees work full time for our company, and are there to help Russian women and foreign men with their search. Their help is very important when communicating with Russian women in order to get to know each other successfully. Thanks to their experiences and knowledge of English, our employees in Eastern Europe are able to provide quality services that meet the needs of our customers. They help our clients with the screening and selection of family-oriented Russian women who truly want to find a serious relationship with a foreigner. They also are instrumental in helping to overcome language barriers and cultural differences. Your chances are much greater in finding the right Russian woman with the help of our employees. We are there to help foreign men to find a Russian woman to have a serious relationship with. For this reason, we keep a strict, honest policy and select only serious women, who are truly looking for a life partner. Our employees carefully check new profiles and interviews each woman who registers. 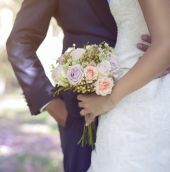 The list of marriage and dating agencies in Russia are countless, and continually appear on the market. But not all of them run an honest business. We want you to understand we work in a different way so here is a brief description of how our agency runs. Our agency creates its own database of women, so we only have legitimate women in our database. We are strongly against falsifying information and fake profiles of Russian women. It is important for us to create a safe place where people can communicate and meet each other in real life. And because we are an independent agency with our own employees and with ladies who are registered at us, we have much more influence and control on the quality and safety of dating, than intermediaries or websites that collaborate with partners in Eastern Europe can provide. As our client, you will discover why we are different from all the others. Even after the interview, our employees keep personal contact with the Russian women who register to better understand their wishes and desires. This helps to provide an active and up-to-date, quality selection on our database. Our employees in Eastern Europe are ready to open a dialogue to solve any issues or to find the right solution that may help. We don’t want our clients to ever face any problems or obstacles. This is why our employees in Eastern Europe are always there for you and your lovely Russian woman. They help you with valuable services such as translation, matching and arranging meetings with beautiful Russian women. Our customers will receive an individual approach and professional service. To avoid any misunderstandings, our agency is always there to help with translations. Our employees from Eastern Europe systematically check all correspondence and translates letters. During the meetings, an interpreter can translate your conversations. Our employees can help you to organize the meetings with Russian women. They can arrange a qualified interpreter to assist you during your first meetings in Eastern Europe. We are also available to help book your trip and provide you with any assistance during your trip. It is our goal to be there for our clients and help them whenever they need us. Our aim is to help western men find a Russian woman with whom they desire to have a serious relationship with. Despite the differences in culture, language, traditions, and style of living between them, a foreign man and a Russian woman can be a perfect match. Our database is full of sincere, and beautiful Russian women. We want to help increase your chances of finding the perfect match. Our employees in Eastern Europe play a vital role in achieving the best results. Their job is to make two lonely hearts become one and watch a serious relationship grow. It is our hope that one day it will lead to marriage and a beautiful family.